Mary Poppendieck has led teams implementing various solutions ranging from enterprise supply chain management to digital media. Mary is the president of Poppendieck LLC, which specializes in bringing lean techniques to software development. Tom Poppendieck, an enterprise analyst, architect, and agile process mentor, currently assists organizations in applying lean principles and tools to software development processes. 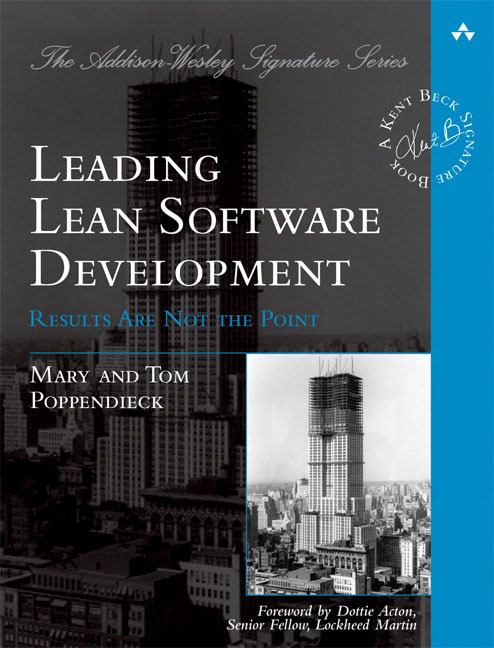 The Poppendiecks are authors of Lean Software Development, winner of the 2004 Jolt Software Development Productivity Award, and Implementing Lean Software Development (both from Addison-Wesley).